Zeolites are three dimensional, microporous, crystalline solids with well defined structures that contain aluminum, silicon and oxygen in their regular framework; V.O.C. and gases are trapped in the void pourous cavities. Zeolites are natural minerals that are mined in many parts of the world. How does Zeolite remove odors? 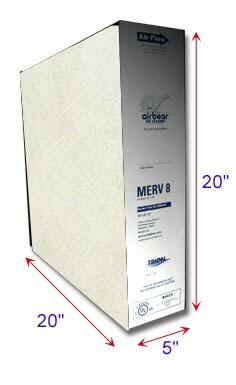 A natural earth mineral thermally bonded to polyester. Zeolite has the ability to remove Votile Organic Compounds. It is especially useful in removing Ammonia and ammonium compound odors such as pet odors and urine. 49 Clean Air Credits will be rewarded to you when you buy this item. 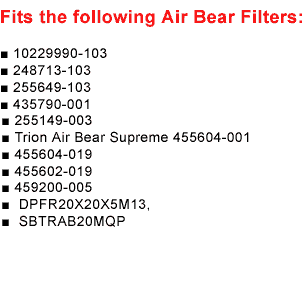 Air Bear Filters | Fits All Trion Air Bear 16x25x5"